1.1 What these terms cover: These are the terms on which we supply the products listed on our website (www.stephenwebster.com) to you (the “Product(s)”). 1.2 Why you should read them: Please read these terms carefully before you submit your order for the Product(s) to us (an “order”). These terms tell you who we are, how we will provide Product(s) to you, how you and we may change or end the contract, what to do if there is a problem and other important information. If you think that there is a mistake in these terms please contact us at info@stephenwebster.com to discuss. 1.3 These terms apply to our sale of Product(s) to you as a consumer. If you are a business and would like to buy our Products(s) please contact our sales team at sales@stephenwebster.com. 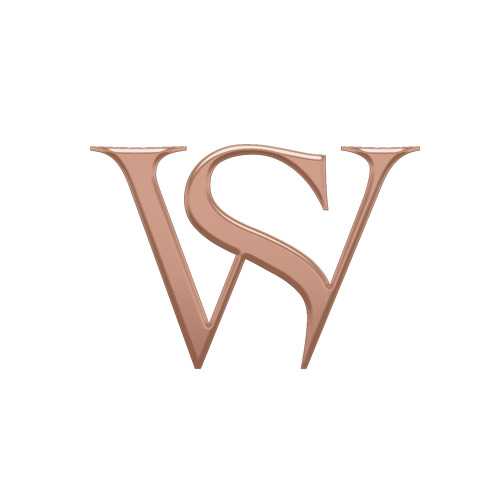 2.1 Who we are: We are Stephen Webster Limited, a company registered in England and Wales. Our company registration number is 03738018, our registered office is at 24 Albemarle Street, London, W1S 4HT and we operate the website www.stephenwebster.com (“our website”). Our registered VAT number is GB527711840. 2.2 How to contact us: You can contact us by telephoning our e-commerce team at 0203 298 0970 or by emailing us at online@stephenwebster.com. If you are emailing us please include details of your order (such as your order number) to help us identify it. 2.3 How we may contact you: If we have to contact you we will do so by telephone or by writing to you at the email address or postal address you provided to us in your order. 2.4 “Writing” includes emails: When we use the words “writing” or “written” in these terms, this includes emails. 3.1 Order process: Our shopping pages on our website will guide you through the steps you need to take to place an order with us. Our order process allows you to check and amend any errors before submitting your order to us. Please take the time to read and check your order at each stage of the order process. 3.2 How we will accept your order: Our acceptance of your order will take place when we email you to accept it (“Acceptance Notification”), at which point a contract will come into existence between you and us for the Product(s) you have ordered (“the contract”). 3.3 If we cannot accept your order: If we are unable to accept your order, we will inform you of this either by telephone or in writing and will not charge you for the Product(s). This might be because the Product(s) is out of stock, because of unexpected limits on our resources which we could not reasonably plan for, because we have identified an error in the price or description of the Product(s) or because we are unable to meet a delivery deadline you have specified. 3.4 Your order number: When you place your order we will assign you with an order number when we send you our Acceptance Notification. It will help us if you can tell us the relevant order number whenever you contact us about your order. 4.1 The Product(s) may vary slightly from their pictures: The images of the Product(s) on our website are for illustrative purposes only. Although we have made every effort to display the colours accurately, we cannot guarantee that a device's display of the colours accurately reflects the colour of the Product(s). Your Product(s) may vary slightly from those images. 4.2 Questions and clarifications: Although we have made every effort to be as accurate as possible, the Product(s) sizes, colours, dimensions and measurements indicated on our website may not be precise. If you have any doubts about the colour, size or any specification of the Product(s) you wish to order, please contact us prior to placing your order on our website. 4.3 Product(s) packaging may vary: The packaging of the Product(s) may vary from that shown in any images on our website. 4.4 Making sure your measurements and information are accurate: If we make any Product(s) to measurements you have given us or are providing engraving services, you are responsible for ensuring that the measurement and engraving instructions are correct. (b) to implement minor technical adjustments and improvements. These changes should not affect your use of the Product(s). 6.1 Click and Collect: We offer a free click and collect facility where you can collect your Product(s) (once we have notified you that your Product(s) is ready for collection) from our premises at 130 Mount Street, Second Floor, London, W1K 3NY during our working hours of 10am to 6pm, Monday to Friday (excluding public holidays) (please note, we are closed on weekends). 6.2 TOSHI: We offer complementary delivery in central London zones 1-3 (selected postcodes) with TOSHI. All orders delivering to an address within London zones 1-3 can have the option to use this concierge service provided by TOSHI, which allows for same day, next day and 3rd day options (pending stock availability). 6.3 Delivery costs: Except where specified, free delivery will apply to all orders placed on our website. We reserve the right to change or discontinue the free delivery arrangement at any time. 6.4 When we will provide the Product(s): During the order process we will let you know when we will deliver the Product(s) to you. We normally aim to dispatch our Product(s) to you the next working day after we send you an Acceptance Notification. We will send you a despatch email as soon as your goods have been despatched. We will deliver the Product(s) to you as soon as reasonably possible and we will contact you with an estimated delivery date, which will be within 14 days after the day on which we send you our Acceptance Notification. 6.5 If you are not at home when the Product(s) is delivered: If no one is available at your address to take delivery, a note will be left informing you of how to rearrange delivery or collect the Product(s) from a local depot as per our nominated courier's procedures and instructions. 6.6 If you do not re-arrange delivery: If you do not collect the Product(s) from us as arranged or if, after a failed delivery to you, you do not re-arrange delivery or collect them from a delivery depot we will contact you for further instructions and may charge you for storage costs and any further delivery costs. If, despite our reasonable efforts, we are unable to contact you or re-arrange delivery or collection we may end the contract and clause 8.2 will apply. 6.7 When you become responsible for the Product(s): The Product(s) will be your responsibility from the time we deliver the Product(s) to the address you gave us or from when you collect it from us. 6.8 When you own Product(s): You own the Product(s) once we have received payment in full. 6.9 What will happen if you do not give required information to us: We may need certain further information from you so that we can supply the Product(s) to you, for example (but not limited to), size, colour, style, engraving text. If so, this will have been stated in the description of the Product(s) on our website. We will contact you to ask for this further information. If you do not give us this further information within a reasonable time of us asking for it, or if you give us incomplete or incorrect further information, we may either end the contract (and clause 8.2 will apply) or make an additional charge of a reasonable sum to compensate us for any extra work that is required as a result. We will not be responsible for supplying the Product(s) late or not supplying any part of them if this is caused by you not giving us the further information we need within a reasonable time of us asking for it. (a) If you have just changed your mind about the Product(s): Under the Consumer Contracts Regulations 2013, you may have a legal right to change your mind about purchasing the Product(s) and receive a refund. These rights are explained in more detail at clause 7.3 to 7.5 below. (d) there is a risk that supply of the Product(s) may be significantly delayed because of an event outside our control (see clause 14). (d) any Product(s) which become mixed inseparably with other items after their delivery. 7.4 When you can cancel because you have changed your mind: Unless clause 7.3 applies, as a consumer you have the legal right to cancel the contract during the ‘cooling-off period’ set out in clause 7.5 below. This means that during the ‘cooling-off period’, if you change your mind or decide for any other reason that you do not want to receive or keep Product(s), you can notify us of your decision to cancel the contract and receive a refund. 7.5 ‘Cooling-off period’ i.e. how long do I have to change my mind? You have from the date you receive the Acceptance Notification until 14 days after the day you (or someone you nominate) receives the Product(s) to change your mind, unless the Product(s) you’ve ordered are split into several deliveries over different days in which case you can change your mind about the Product(s) until 14 days after the day you (or someone you nominate) receives the last delivery of the Product(s). 7.6 Ending the contract where we are not at fault and there is no right to change your mind: Even if we are not at fault and you do not have a right to change your mind you can still end the contract before it is completed, but you may have to pay us compensation. The contract for the Product(s) is completed when the Product(s) is paid for and delivered. If you want to end the contract before it is completed where we are not at fault and you have not changed your mind in accordance with clause 7.5 just contact us to let us know. The contract will end immediately and we will refund any sums paid by you for Product(s) not provided, but we may deduct our reasonable costs or costs already incurred in providing the Product(s) to you from that refund (or, if you have not made an advance payment, charge you). Please provide your name, home address, order number and your contact telephone number. 7.8 Returning Product(s) after ending the contract: If you end the contract for any reason after Product(s) have been despatched to you or you have received them, you must return them to us. You must either post them back to us at 17 Grafton Street, London, W1S 4DQ, return them to us in store at 130 Mount Street, Second Floor, London, W1K 3NY or (if they are not suitable for posting) allow us to collect them from you. If you are exercising your right to change your mind during the ‘cooling-off period’ you must send off the Product(s) within 14 days of telling us you wish to end the contract. (a) If you have chosen TOSHI (concierge service) as a delivery option, you can book in your return by creating a TOSHI account following the link in your email. Once you have logged in, you can select a 30 minute time slot for pick up. Pack up the pieces securely in the original box and include the original invoice in the package before the selected pick up slot. (c) you are exercising your right to change your mind and you are returning the Product(s) from an address in the UK. In all other circumstances you must pay the costs of return (if any). 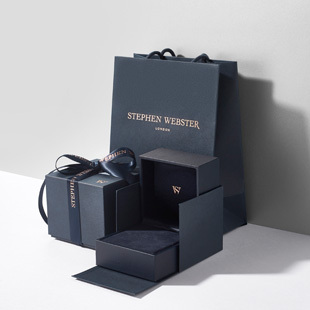 If we are responsible for paying for the costs of you returning the Product(s) to us, you may use the free post return label which may have accompanied the Product(s) when it is delivered to you (if you do not have such free post return label please email us at returns@stephenwebster.com or call us on 0203 298 0970. 7.10 What we charge for collection: If you are responsible for the costs of return of the Product(s) and you are unable to return the Product(s) to us by post or by returning the Product(s) to our Mount Street store then we may need to collect the Product(s) from you and we will charge you the direct cost to us for collection. 7.11 How we will refund you: We will refund you the price you paid for the Product(s) including delivery costs, by the method you used for payment. However, we may make deductions from the price, as described in clause 7.12. (a) We may reduce your refund of the price (excluding delivery costs) to reflect any reduction in the value of the Product(s), if this has been caused by your handling them in a way which would not be permitted in a shop. If we refund you the price paid before we are able to inspect the Product(s) and later discover you have handled them in an unacceptable way, you must pay us an appropriate amount. (b) The maximum refund for delivery costs will be the costs of delivery by the least expensive delivery method we offer. For example, if we offer delivery of a product within 3-5 days at one cost but you choose to have the Product(s) delivered within 24 hours at a higher cost, then we will only refund what you would have paid for the cheaper delivery option. (c) Where the Product(s) involve the provision of a service, we may deduct from any refund an amount for the supply of the service for the period for which it was supplied, ending with the time when you told us you had changed your mind. The amount will be in proportion to how much work has been completed, in comparison with the full coverage of the contract. 7.13 When your refund will be made: We will make any refunds due to you as soon as possible. If you are exercising your right to change your mind and we have not offered to collect the Product(s), your refund will be made within 14 days from the day on which we receive the Product(s) back from you or, if earlier, the day on which you provide us with evidence that you have sent the Product(s) back to us. In all other cases, your refund will be made within 14 days of you telling us that you have changed your mind. 8.2 You must compensate us if you break the contract: If we end the contract in the situations set out in clause 8.1 we will refund any money you have paid in advance for Product(s) we have not provided but we may deduct or charge reasonable compensation for the net costs we will incur or will have incurred as a result of your breaking the contract. 9.2 Your obligation to return rejected Product(s): If you wish to exercise your legal rights to reject Product(s) if there is a problem with it you must either return them in person to our Mount Street Store (130 Mount Street, Second Floor, London, W1K 3NY), or post them back to us at 17 Grafton Street, London, W1S 4DQ, or (if they are not suitable for posting) allow us to collect them from you. We will pay the costs of postage or collection. Please telephone our e-commerce team at 0203 298 0970 or email us at returns@stephenwebster.com for a free post return label or to arrange collection. 9.3 Summary of your legal rights: We are under a legal duty to supply Product(s) that are in conformity with the contract. See the box below for a summary of your key legal rights in relation to the Product(s). Nothing in these terms will affect your legal rights. 10.1 Where to find the price for the Product(s): The price of our Product(s) will be listed on our website. Where the price of the Product(s) includes or excludes VAT this will be stated clearly on the order pages when you place your order. Please see clause 10.3 for what happens if we discover an error in the price of the Product(s) you order. 10.2 Where applicable we will pass on changes in the rate of VAT: If the rate of VAT changes between your order date and the date we supply the Product(s), we will adjust the rate of VAT that you pay, unless you have already paid for the Product(s) in full before the change in the rate of VAT takes effect. 10.3 What happens if we got the price wrong: Despite our best efforts there is always a possibility that some of the Product(s) we sell may be incorrectly priced. We will normally check prices before accepting your order so that, where the Product(s)' correct price at your order date is less than our stated price at your order date, we will charge the lower amount. If the Product(s)' correct price at your order date is higher than the price stated to you, we will contact you for your instructions before we accept your order. If we accept and process your order where a pricing error is obvious and unmistakeable and could reasonably have been recognised by you as a mispricing, we may end the contract, refund you any sums you have paid and require the return of any of the Product(s) provided to you. 10.4 When you must pay and how: We accept payment with Visa, Visa Electron, Delta, Maestro, Mastercard, Solo and American Express. You must pay for the Product(s) before we dispatch them. We will charge your credit or debit card once the order is confirmed and processed online. 11.1 For the purposes of the contract “Intellectual Property Rights” means rights to inventions, copyright and related rights, trade marks, business names and domain names, rights in get-up and trade dress, goodwill and the right to sue for passing off, rights in designs, database rights, rights to use, and protect the confidentiality of, confidential information (including know-how) and all other intellectual property rights relating to the Product(s) and the content of this website, in each case whether registered or unregistered and including all applications and rights to apply for and be granted, renewals or extensions of, and rights to claim priority from, such rights and all similar or equivalent rights or forms of protection which subsist or will subsist now or in the future in any part of the world. 11.2 Nothing in the contract shall have the effect of transferring ownership to you of any Intellectual Property Rights in the Product(s). 11.3 You may not copy, modify, publish, transmit, transfer or sell, reproduce, create derivative works from, distribute, perform, display, or in any way exploit any of the Intellectual Property Rights in Product(s) or any content on our website, in whole or in part. 12.1 We are responsible to you for foreseeable loss and damage caused by us: If we fail to comply with these terms, we are responsible for loss or damage you suffer that is a foreseeable result of our breaking the contract or our failing to use reasonable care and skill, but we are not responsible for any loss or damage that is not foreseeable. Loss or damage is foreseeable if either it is obvious that it will happen or if, at the time the contract was made, both we and you knew it might happen, for example, if you discussed it with us during the sales process. 12.2 We do not exclude or limit in any way our liability to you where it would be unlawful to do so: This includes liability for death or personal injury caused by our negligence or the negligence of our employees, agents or subcontractors; fraud or fraudulent misrepresentation; for breach of your legal rights in relation to the Product(s) including the right to receive Product(s) which are: (a) as described and match information we provided to you and any sample or model seen or examined by you (b) of satisfactory quality (c) fit for any particular purpose made known to us (d) supplied with reasonable skill and care; and for defective Product(s) under the Consumer Protection Act 1987. 12.3 We are not liable for business losses: We only supply the Product(s) for domestic and private use. If you use the Product(s) for any commercial, business or re-sale purpose we will have no liability to you for any loss of profit, loss of business, business interruption, or loss of business opportunity. 14.1 We will not be liable or responsible for any failure to perform, or delay in performance of, any of our obligations under the contract that is caused by an event outside our control. An “event outside our control” means any act or event beyond our reasonable control, including without limitation strikes, lock-outs or other industrial action by third parties, civil commotion, riot, invasion, terrorist attack or threat of terrorist attack, war (whether declared or not) or threat or preparation for war, fire, explosion, storm, flood, earthquake, subsidence, epidemic or other natural disaster, or failure of public or private telecommunications networks or impossibility of the use of railways, shipping, aircraft, motor transport or other means of public or private transport. (b) Our obligations under the contract will be suspended and the time for performance of our obligations will be extended for the duration of the event outside our control. Where the event outside our control affects our delivery of Product(s) to you, we will arrange a new delivery date with you after the event outside our control is over. 14.3 You may cancel the contract affected by an event outside our control which has continued for more than 30 days. To cancel please contact us. If you opt to cancel, you will have to return (at our cost) any relevant Product(s) you have already received and we will refund the price you have paid, including any delivery charges. 15.1 We may transfer this agreement to someone else: We may transfer our rights and obligations under these terms to another organisation. 15.2 You need our consent to transfer your rights to someone else: You may only transfer your rights or your obligations under these terms to another person if we agree to this in writing. 15.3 Nobody else has any rights under the contract: The contract is between you and us. No other person shall have any rights to enforce any of its terms. 15.4 If a court finds part of the contract illegal, the rest will continue in force: Each of the clauses in these terms operates separately. If any court or relevant authority decides that any of them are unlawful, the remaining clauses will remain in full force and effect. 15.5 Even if we delay in enforcing the contract, we can still enforce it later: If we do not insist immediately that you do anything you are required to do under these terms, or if we delay in taking steps against you in respect of your breaking the contract, that will not mean that you do not have to do those things and it will not prevent us taking steps against you at a later date. For example, if you miss a payment and we do not chase you but we continue to provide the Product(s), we can still require you to make the payment at a later date. 15.6 Which laws apply to the contract and where you may bring legal proceedings: the terms of the contract are governed by English law. This means the contract for the purchase of Product(s) through our website and any dispute or claim arising out of or in connection with it will be governed by English law. You and we both agree to that the courts of England and Wales will have non-exclusive jurisdiction. However, if you are a resident of Northern Ireland you may also bring proceedings in Northern Ireland, and if you are a resident of Scotland, you may also bring proceedings in Scotland. 16.1 Stephen Webster guarantees a warranty period of twelve months on all items from the date of purchase. Proof of purchase from authorised retailers is required to validate the warranty. 16.2 We will repair your item free of charge during the warranty period if it is a manufacturing or material defect. Please note cracking, chipping or scratching of stones (including Crystal Haze) or plating wear are not considered as manufacturing defects. Warranty does not cover loss of an item, damage caused by accidents, inappropriate use or wear and tear. Please see our Jewellery Care Guide for more information on how to keep your jewellery in the best condition. 16.3 Stephen Webster may not be able to repair silver pieces that are no longer part of our current range. All items outside of the warranty period will incur a repair fee.